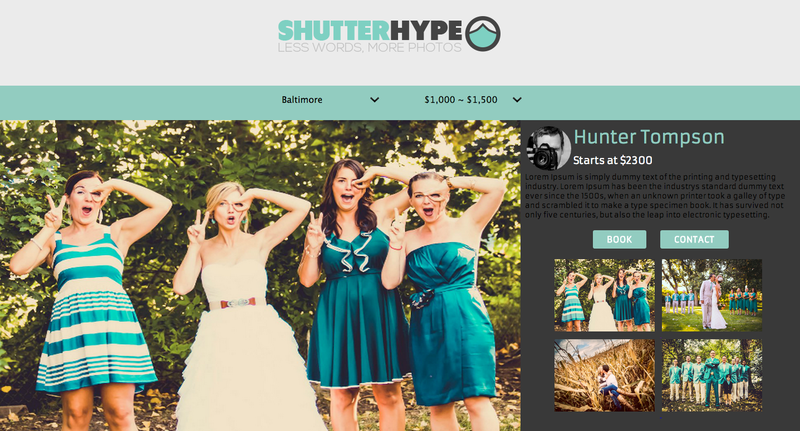 ShutterHype is a new business idea and simple prototype to match newly marriging couples and individual phtographer. Using any kinds of device, brides are able to find a qualified photographers around their area in reasonable price, whose "style" is perfectly matched to their emotional feeling. This ampathize based matching service helps individual phtographers to find and build their portfolio, without paying a lot of money on advertising themselves. By choosing location and price range, brides can list pictures of wedding photographers, and finally they can see more photos of photographers to be confident he/she is the exactly right person brides are looking for, without any register, login, and all sort of complicated and annoying administrative works based on this beautiful but super simple UX. Travellers used to buy tickets at the railroad station, made of cardboard, and waited for the ticket inspector to punch it. Those days are gone, upcoming technologies have changed this field fundamentally. Ticketing machines with touch-based displays as well as mobile apps have appeared a few years ago and introduced new business models. Instead of being attended personally, customers have to buy a ticket on their own. On one hand, this brings great advantages: No long waiting queues in front of the counter, purchase of tickets from home and, therefore, reduction of costs. The recent years have allowed for gaining experience in this field. It is now time to look into the future: How will we buy a ticket for the train tomorrow? How can we improve existing interfaces and interaction solutions? 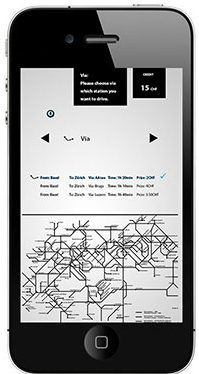 GlobeStream is a potential smartphone application that allows users to subscribe to locations, rather than people. This app will focus on a simple way to view content from all around the world, and provide an easy means to take, edit, and upload content directly from smartphones. GlobeStream hopes that this app will allow for smartphone users to share and view content from all over the world in a whole new way, evacuating from social bubble. 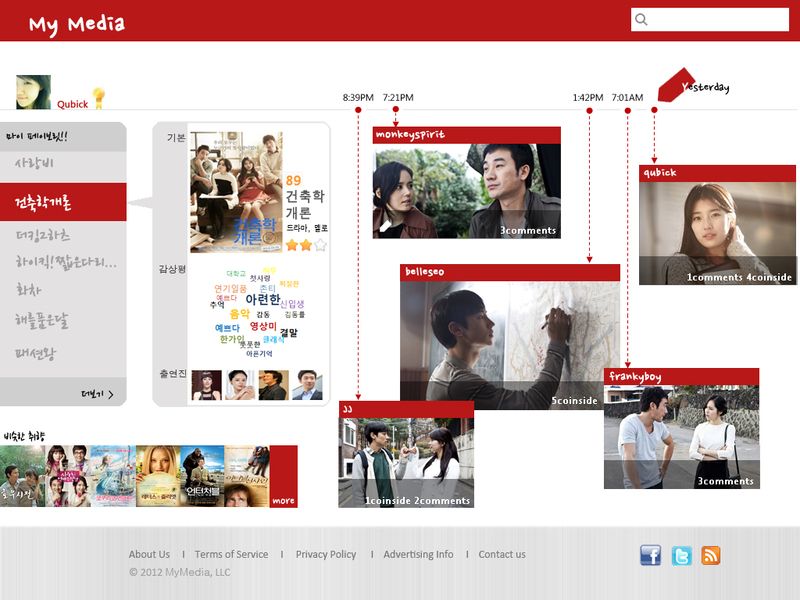 MyMedia helps content consumers to choose videos, movies, or music to purchase from the random mass contents, by highlighting users' preferences based on the history, users' friendship. Followers and followees, and close friends' preference recommend one person's taste. The words people use to rate and to write a review the content contain the "mood" of emotion. MyMedia collects all social network user's reaction on that content, analyzing color tones of sarcasm or appreciation, and visualize it as word cloud. It allows users to assesse contents based on unbiased evaluation. 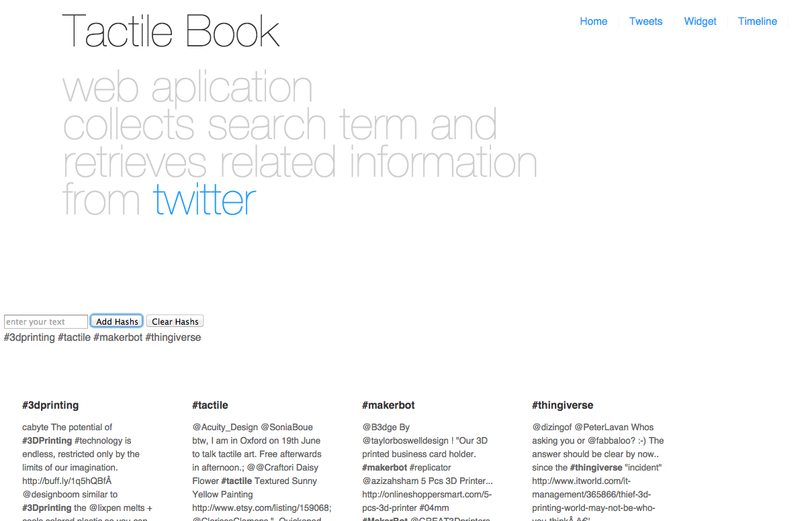 TactileTwitterest allows user to enroll search term as hashtags that users wants to retrieve from Twitter. Likewise the Pinterest, TactileTwitterest searches these terms from public timeline for Twitter using RestAPI, to see which conversation were happened from which context, how that topic was evolved regarding 3d printed tactile graphics, how the emergent technology has affected to the world, how community has grown. Each column shows tweets contain user registered hashtags.